Is it finally time for a middle market growth samba in Brazil? There's something strangely alluring about Brazil for American companies. Ask a company where they want to expand and it's almost always on the list. Ask why, and there's often no rational offered other than it's market size. Certainly it's a large market - 5th largest in the world by population with more than 200M citizens. And there's a range of romantic associations with the beaches, lifestyle and passion for soccer. It's an exciting and fun place to visit. As one of the BRICs it's been frequently discussed in the context of rapidly growing, maturing and ascending markets which will shape the global economy in the 21st century. But it's also endemically corrupt; plagued by crime; barricaded by trade barriers; and determined to balance it's superpower relationships with the US, Russia and China in ways that make it a bit unpredictable. 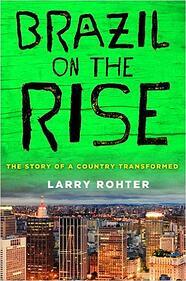 Published in 2010 near the height of the Brazil euphoria (7.5% GDP growth, selection to host both WorldCup and Olympics, prominence as a BRIC) Larry Rohter's Brazil on the Rise: The Story of a Country Transformed predicted that Brazil's time had finally come. But the premise was that after years of promise, in the LatAm decade of the 2010s, Brazil had finally arrived. 4 years later, amid widespread street protests, Brazil's GDP growth rate turned negative. 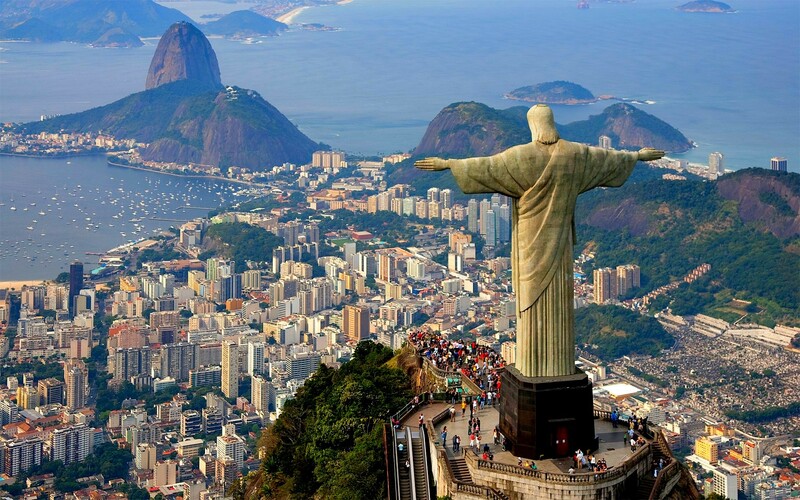 As the excitement grew (in November 2012 Barron's offered a bullish assessment with a cautionary caveat) American companies raced to Brazil hoping to tap the market opportunity of the world's 5th largest population emerging as middle class consumers. In July '12 Brazil logged $8.4B of FDI - the highest level recorded since tracking began in 1995. And yet there are precious few success stories (part of the reason I've often recommended against a quixotic market entry.) Widespread corruption, notoriously complex and restrictive regulation, a punitive tax regime, and fiercely protectionist trade barriers make it a very difficult market to navigate. And the Brazilian business culture, built on gradually nurtured relationships and indirect communication, is a challenge to the direct and quarterly focused American approach. Companies that have succeeded (e.g. middle market The L.S. Starrett Co. and large EMC2) have established local subsidiaries with R&D & manufacturing capability. And they entered the markets with a long-term view and realistic expectations for the barriers, frustrations and runway required. Local manufacturing has allowed both companies to sidestep the enormous trade barriers. Other companies have stopped short of establishing subsidiaries but have structured relationships enabling local KDA (knock down assembly) and value add activity which entitles them to a waiver of tariffs. But those who assumed they could parachute in amidst the fever pitch of excitement and grab export orders have been disappointed just as those who predicted Brazil's ascendance. Talking with an associate of mine from Sao Paulo recently was both depressing and exciting. On the one hand he started to run down a list of accomplished business people and established companies that are failing. In many cases they've been hobbled by large receivables unpaid by the enormous companies which are now battered. For others the slowing economy has strained the ability to pay for investments made to support high growth rates. It's a hard time for business and for citizens. On the other hand, great companies are now struggling, and that creates investment opportunities - opportunities which middle market US companies should consider embracing. Acquiring the market access and relationships, along with an existing revenue stream can be financially viable short-term and tremendously valuable long-term. Of course it's not without risk. Brazil may continue to struggle indefinitely. Hyper-inflation could return. Entrenched interests could contain the movement against corruption. Political instability could, in the extreme, become aggressively populist and even result in nationalization of some industries and entities. And there are challenges with integration (English isn't widely spoken and the business cultures are very different); due diligence is challenging (confiscatory taxes mean that many companies maintain 'white' and 'black' books of reportable and real results); and successor liability for FCPA violations is a real risk. But existing revenue, in established business, at a low cost (particularly backstopped by OPIC insurance against extreme political risk)....in a naturally endowed, vibrant and large country...particularly when it provides access to the market which would be otherwise unattainable....may be an opportunity to consider. And for companies with long-term strategic perspective and short-term patience to consider quickly and seriously. Inorganic growth is a sizable and often overlooked global expansion strategy for middle market companies. It's not without challenge, but it's important to consider. And this is the sort of insight companies can expect from Consilium - strategically building top line growth, globally. We're not invetment bankers, nor do we offer specific investment recommendations, but we help companies create top line growth strategies, codify those into actionable plans, and access our extensive network of global resources. Contact us if you'd like to schedule a free exploratory call. As a bonus, success in Brazil and LatAm could actually result in lessons learned which make companies more competitive here as we outline in this free white paper.